The Kushner family came to the United States as refugees, worked hard and made it big — and if you invest in Kushner properties, so can you. That was the message delivered Saturday by White House senior adviser Jared Kushner’s sister to a ballroom full of wealthy Chinese investors, renewing questions about the Kushner family’s business ties to China. 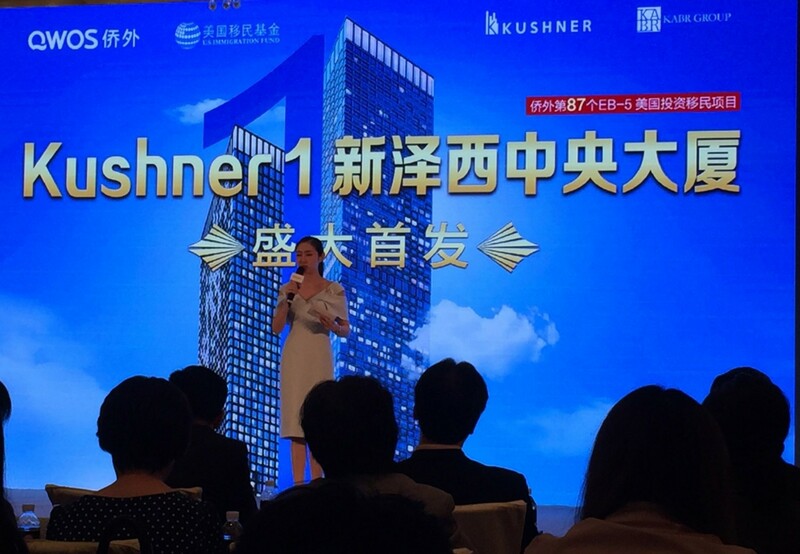 Over several hours of slide shows and presentations, representatives from the Kushner family business urged Chinese citizens gathered at the Ritz-Carlton hotel to consider investing hundreds of thousands of dollars in a New Jersey real estate project to secure what’s known as an investor visa. The EB-5 immigrant investor visa program, which allows foreign investors to invest in U.S. projects that create jobs and then apply to immigrate, has been used by both the Trump and Kushner family businesses. The implication is pretty clear here -- pay us and our family can use its ill-gotten influence to help you come to the U.S.. Because, of course, $$$$ > "extreme vetting." The woman identified as “Jared’s sister” was believed to be Nicole Kushner, who is involved in the family business, not Dara Kushner, who generally stays out of the spotlight. But the woman’s face was not clearly visible from the back of the ballroom, where reporters were told to remain. Although there was no visible reference to Trump, the materials noted the Kushner family’s “celebrity” status. Wang Yun, a Chinese investor who attended the event, said the Kushner family’s ties to Trump, via son-in-law Jared, were a part of the project’s appeal — but also a source of concern. I'd ask how this is OK, but we know by now that with Trump and his ilk that answer is always "If you can get away with it, it's OK. And if you think you can't get away with it, you probably can because Republicans aren't going to try to stop you no matter how flagrant you are." Journalists were initially seated at the back of the ballroom, but as the presentations got underway, a public-relations representative asked The Washington Post to leave, saying the presence of foreign reporters threatened the “stability” of the event. At one point, organizers grabbed a reporter’s phone and backpack to try to force that person to leave. Later, as investors started leaving the ballroom, organizers physically surrounded attendees to stop them from giving interviews. These paragraphs sound like they contradict my post title, but they don't -- if they were really trying to hide this, they'd have screened out reporters before the event started. This is just intimidation, plain and simple. I'm sure I have more to say about this, but I need to go stare at the ceiling now and wistfully daydream about a parade of orange jumpsuits.